Golf scoring, stats, analysis and handicapping. Unlimited players, courses, scorecards, rounds and events. Includes a downloadable 200+ page Users' Guide. 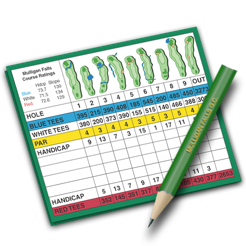 From Mulligan Software - "Keeping Score since 1995". 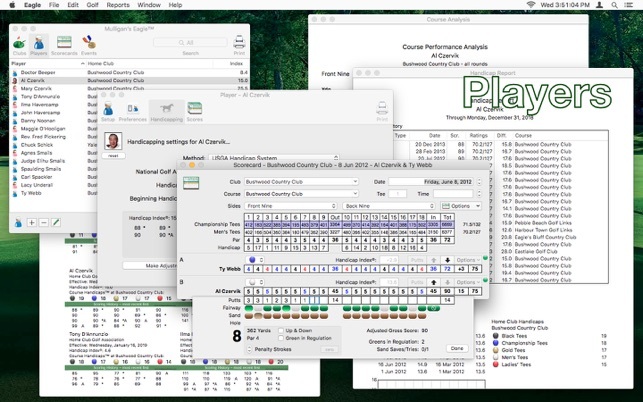 GOLFERS - Personal recordkeeping, stats and handicapping. Track scoring, putting, fairways, GIR and more. Hole-by-hole course performance analysis, ringer card, personal records and "bests". 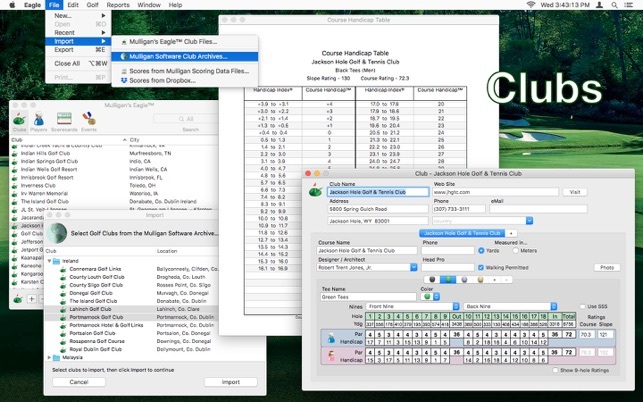 GOLF TEAMS & COACHES - Individual player recordkeeping with flexible handicapping. team "best rounds" scoring, performance analysis, team records and bests. LEAGUE & PLAYDAY DIRECTORS - Unlimited competitors, including non-regular "guests". Play Day event setup, registration, scoring, placement and tie-breaking. Support for remote scoring. Four-Ball, Foursomes, Greensomes, Scramble, Chapman, Waltz, Cha-Cha and more. 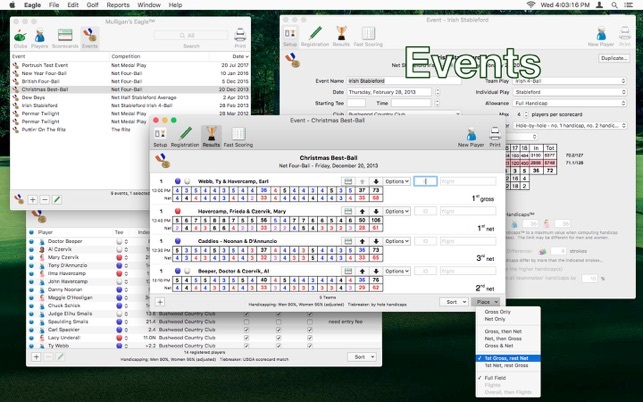 GOLF TOURNAMENT ORGANIZERS - Plan-ahead event setup, registration, tee and handicap assignments. Support for Official Callaway, Scheid, Peoria, Modified Peoria, System 36 or Zig-Zag one-round handicapping. Bulk score entry for large shotgun events. Skins. GOLF CLUBS & PROS - Member handicapping for authorized clubs and associations, including men, women, juniors, 9 and 18-hole players. Handicap reports and cards. Slope (Course Handicap) charts, event scorecards and scoring. • Updates for downloads of the Users' Guide and handicaps from USGA, Golf Canada and Golf Australia. • Improvements to round reassignment, Event registration and registration categories. • Various and many changes for bugs, appearance, efficiency and reliability. 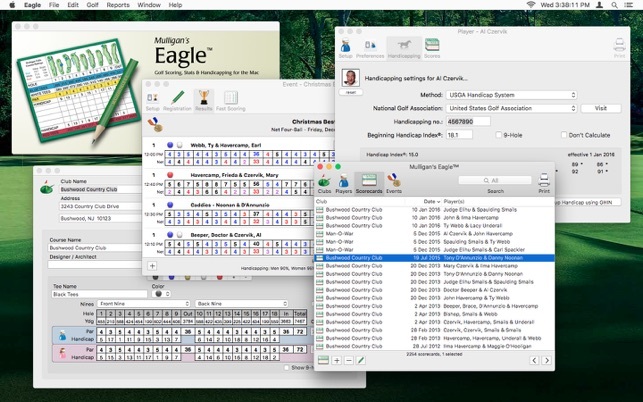 • Mulligan's Eagle version 2.8 requires Mac OS X El Capitan (version 10.11) or later. I wanted a simple program to replace my Golf Digest 4.0 handicap program which Bob Parsons no longer supports. The 4.0 program is a PC program and to use this program on a Mac I have to fool around with Parallels. I figured the Eagle Mac-only program would be a good replacement—Boy was I wrong! The guts of the program is on the Apple app site—not on your Mac. The Mac has an Eagle alias. I am unable to see my Eagle input on my other computer located at my summer residence. I have to return to my other Mac located at my other residence to see any input. The alias located on iCloud has no data. 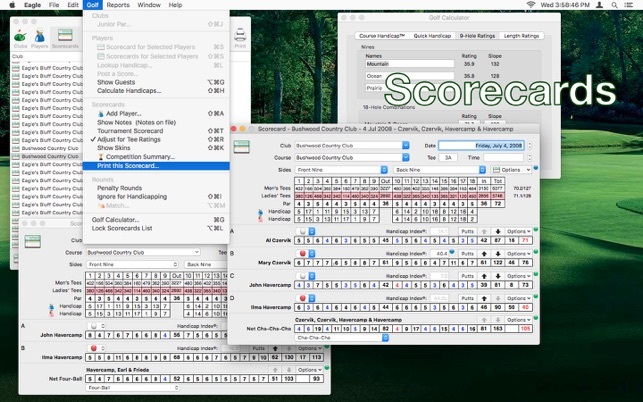 The data entries for each scorecard is time consuming. Also I can not find any players index/handicap after data input. It appears the player(s) must have a bonafide index from some paid PGA source. My league is a bunch of guys who just play golf weekly. I don’t recommend spending $40 for a program you can not use. CJ - Goodness! Why not contact us about your difficulties? We'll assume you've found the Users' Guide available from the Help menu. Start with the Getting Started chapter. Eagle is not a shared-data application, but it DOES have extensive export capabilities to do remote scoring on portable devices. We've been providing scoring software for groups just like yours since 1995, and been happy to make sure all our customers get the job done! Just send details to support@mulligansoftware.com. We can help. Though the app doesn’t do everything I need to run a monthly tournament of 30 golfers, the support is outstanding. I receive a response from the developers usually within the day. The 200 page user manual is a bit daunting to go through, but the developers were available to answer my questions. I was previously using the USGA/GHIN TPP application running under Window’s emulation on my Mac. Glad to now be on a native Mac application.